Funeral services for Jean A. Schiffbauer, 86, of Norfolk will be 10:30 a.m., Thursday, September 6, 2018, at St. Mary's Catholic Church, Norfolk: Reverends Scott Schilmoeller and Owen Korte will concelebrate. Burial will be in Hillcrest Memorial Park Cemetery, Norfolk. Visitation will be Wednesday from 4-6 p.m. with a prayer service at 6, all at the church. Home for Funerals is in charge of arrangements. 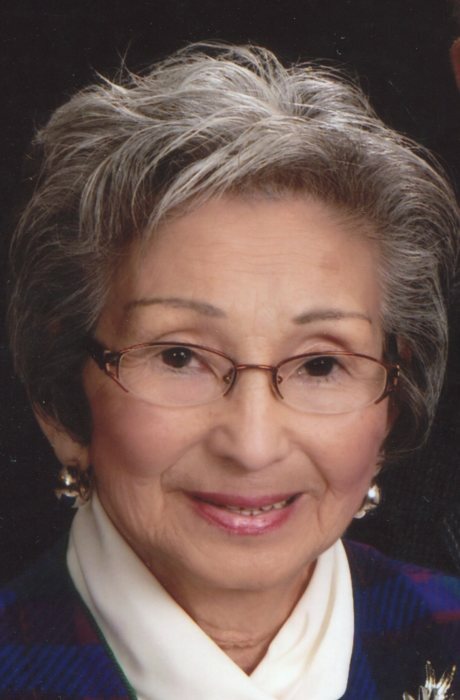 Jean died Monday, September 3, 2018 at Faith Regional Health Services. Michiko (Jean) was born May 17, 1932, to Genya and Toshiko (Nigishi) Hinora at Yokohama, Japan. Jean Grew up in Yokohama and graduated from the Girl’s Christian High School. She attended the Girl’s Christian College (Kanto Gakuin) majoring in English. Jean worked for as a doctor's secretary at the 155th Station Hospital, Out Patient Clinic in Yokohama. Jean married Sgt John Schiffbauer on November 3, 1951, at the Chapel Center in Yokohama. They left Japan in August of 1952, to Columbia, SC. Jean and John then moved to Norfolk, Seward, Sidney and permanently back to Norfolk in 1960. Jean worked at Sherwood Medical as an inspector from 1962 until she retired in 1993. Jean was a member of St. Mary’s, Sacred Heart Church, the Alter Society and the Rosary Crusade. She also served on the Madison County Election Board. Jean is survived by her husband, John, sons Bill of Washington, DC, Tim and Susan of Omaha, daughters, Marlene and Brad Smith of Des Moines, IA, Connie Schiffbauer of Norfolk, grandchildren Tara, John William, Robert, Zach, Elisabeth, Kaily, Connor, great-grandchildren Elijah and Mason. Jean is also survived by a sister-in-law Miyuki of Nogano, Japan and cousins and friends in Japan. She was preceded in death by her parents, an infant son, Michael and her brother Kuni.